Great thought-provoking post! And I agree with you: If you’re opening a restaurant, then you get to pick the clientele you cater to. At the same time, as a society we probably want to support families being families, even when they’re noisy. How can you teach your kid how to behave in a restaurant if you never take her to a restaurant? Yes, there will be successful meals out and less successful ones…. and sure, some parents will fail to parent… but we should *begin* by being tolerant and generous and kind-hearted toward each other. If you don’t feel up to that, or if you really want a romantic dinner out with your spouse, just choose a restaurant that caters to adults-only! Excellent points, Chris! Indeed, how do we teach our children anything about (fill in the blank) if we don’t expose them to (fill in the blank). And, I agree that as a society there are huge strides to be made in our tolerance and love towards each other. I agree. 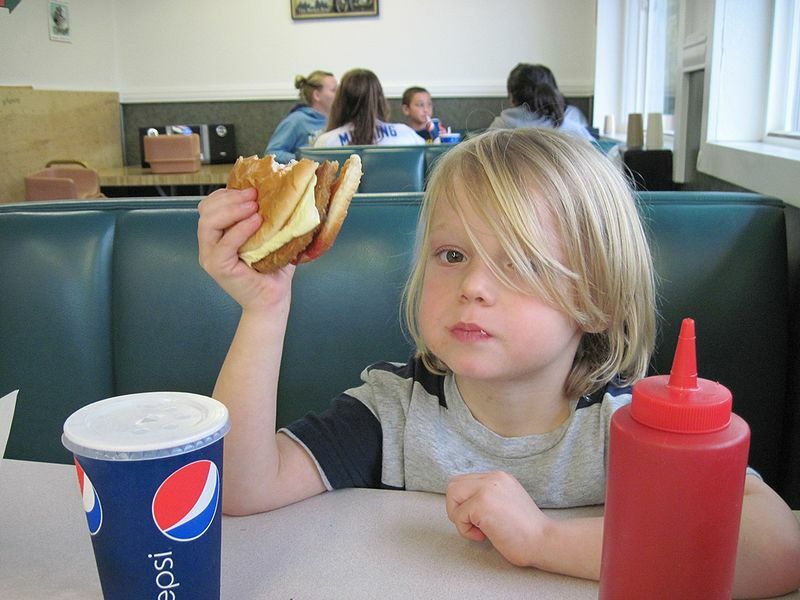 There are plenty of kid-friendly / family-friendly restaurants. We have always been on top of our son’s behavior – in public and at home. We started from birth and put a few years of concentrated effort into teaching him manners and expectations for appropriate public behavior, and now we have an extremely well-behaved child. We can’t stand the way some parents seem to have no control over their children or don’t want to bother to take time to instruct and discipline. So, I don’t blame the restaurant industry or the public for wanting to enjoy a quiet, uninterrupted meal out. Bon Appétit!